This post is sponsored by Purina. I am being compensated for helping spread the word about Pure Love for Pets giveaway, but To Dog With Love only shares information we feel is relevant to our readers. Here's a way to give you a little extra motivation to keep those New Year's Resolutions... and least when it comes to your pets! Would you like to spend more time with your pets? Maybe get out and exercise a little more with them or give them some extra pampering with new toys or accessories? The folks at Purina are encouraging everyone to make a pet pledge for 2016, and they're sweetening the deal by giving you the chance to instantly win a prize box of goodies to help you keep your pledge. It's all part of the Purina Pet Pledge Instant Win Game. 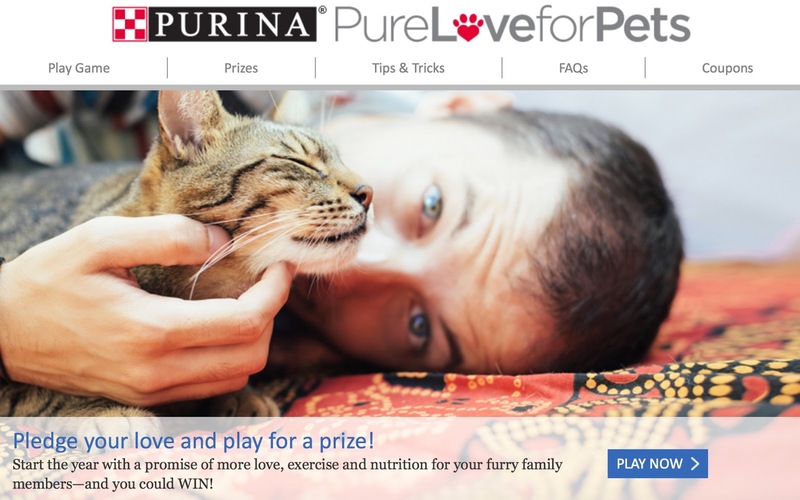 Think about what you'd like to pledge, visit PureLoveForPets.com and share it with Purina. While you're on the site, play the Purina Instant Win Game for a chance to win some fun prizes for you and your pet! 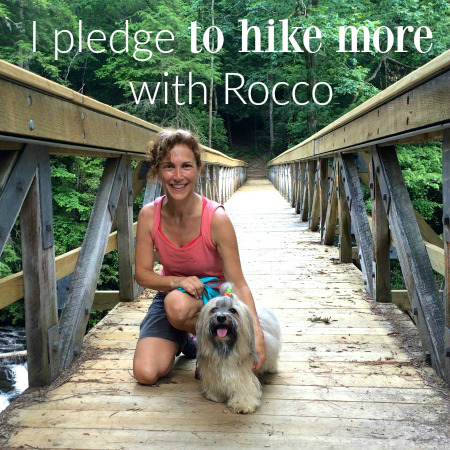 Our pledge is to hike more this year. It's good for both of us and we need to make time to do it! Purina is giving away more than $85,000 in prizes, all geared to help you keep that pledge to your special pet! 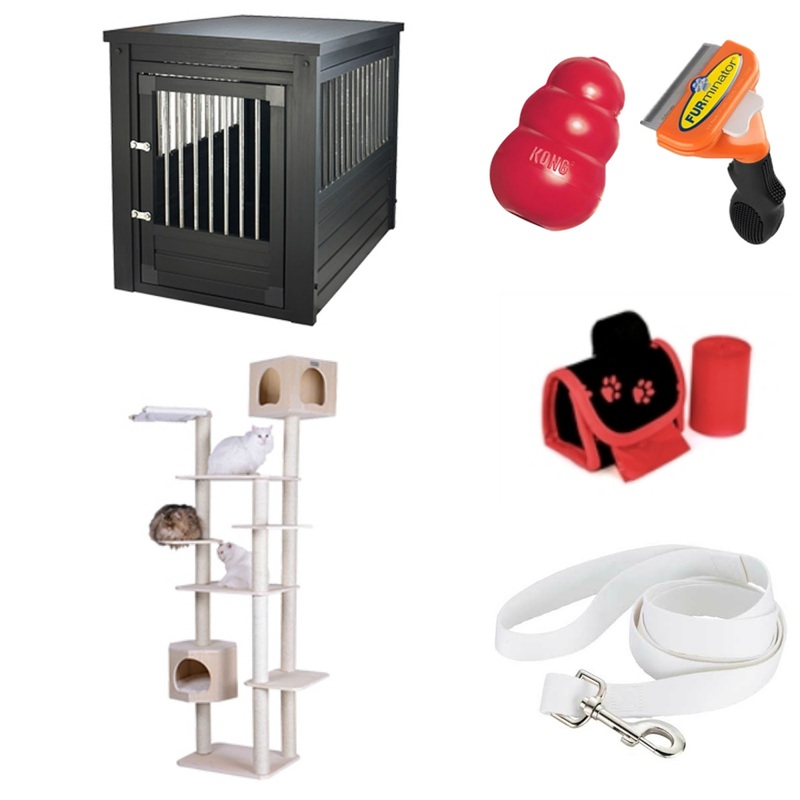 A cat prize box to include a cat Furminator, kitty hammock, cat toys and more! There will be a total of 1,982 Instant win game prize winners in all and you can play once a day through Wednesday, February 17 for a chance to win instantly! In addition, PureLoveForPets.com will also feature information and tips on different pet pledges you can make and how to help keep them throughout the year. The campaign coincides with several great Purina coupons in local Sunday newspapers hitting homes on Sunday, Jan. 31, so be sure to check them out too! Just got our prize pack! The Furminator is awesome. Thanks so much. We went for a nice walk around the park just this morning.